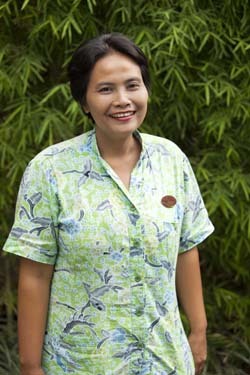 The Hotel was established in 1989 when Seminyak was still a quiet farming district. We have 1, 2, 3 & 4 bedroom accommodation. 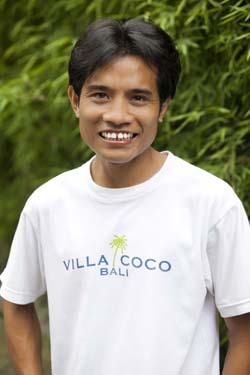 Our staff are very helpful & friendly. 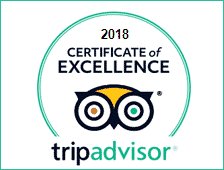 Please read our reviews. The spacious two storey, thatched roofed bungalows feature upstairs airconditioned bedrooms with en-suites. Downstairs there is a separate open style living lounge, kitchen and dining area with open-air garden style bathroom. Each villa has its own private garden, most with large mature trees to give shade on those hot Bali days. All of our villas have a kitchenette with a gas stove, crockery, cutlery, kettle, pots and pans. That’s if you are planning on cooking while on holiday! A microwave and toaster oven is available on request. The peaceful, relaxed atmosphere offers travelers tranquility whilst still in the heart of the action. 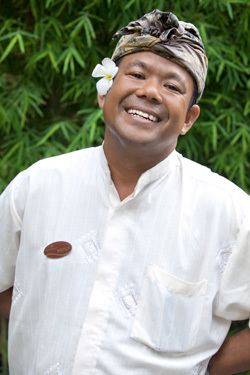 Only ten minutes walk to the beach and Seminyak’s shopping, restaurant and nightlife is all very close. 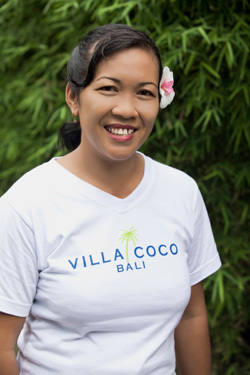 Our pool villas and traditional garden bungalow accommodation is where each room is private offering hotel service within your own Balinese home away from home. 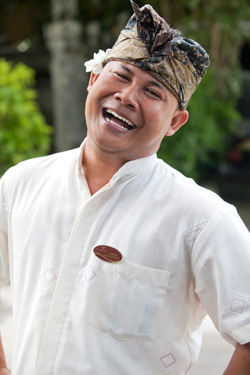 We are a mature property and in a great location, Seminyak, right on Double Six. Close to shops, shops and more shops. Also very close by is a safe patrolled surfing beach, beachside restaurants and nightlife.We are a twenty minute ride from the airport when there are no ceremonies… so it won’t be long before you have a cool drink in hand. 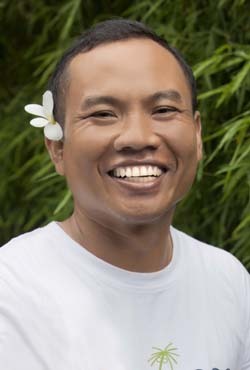 The famous Legian and Seminyak beach is just 5 -10 mins walk and you will be sun-baking and having fun in no time at all. If you are looking for really affordable accommodation, then try our garden bungalows or studio rooms for the best rates. 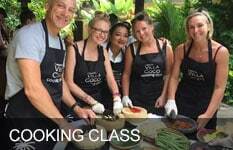 In addition to these one and two bedroom private open living style garden bungalows, we also have one and two bedroom pool villas which make Villa Coco a great option in very lovely surroundings and you will love the staff. Each villa/bungalow has its own individual entrance with a garden and some with private pools. Our bungalows are older traditional style and you will really get to experience the Balinese way of life and then for a little more our pools villas are modern and suit people that like the modern way of life…still they are open living and with your own private pool to cool off or if you choose a bungalow you have the main pool and you can enjoy a cold beer from the bar. We also have a very large 4 bedroom villa which is ideal for family and friends and very popular for the girls who want to go away for the annual shopping trip or for that special birthday or just anything you want…this villa is perfect! 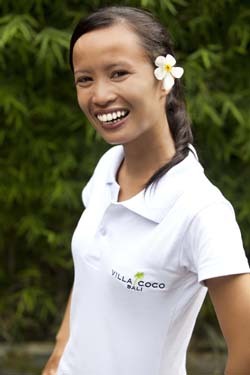 Choose Villa Coco for your next holiday and enjoy being in the heart of Bali with a friendly and relaxed atmosphere. 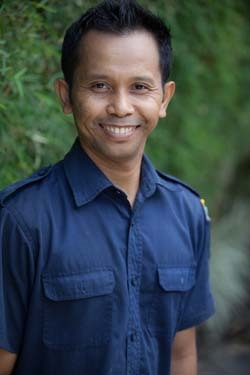 Our staff are waiting to help you have a wonderful holiday in Bali, come and experience villa living with hotel service. Come to paradise you will love it here! Whilst we will try our best and give you your requested Villa or Bungalow, we must let you know that all are subject to availability.